It has arrived. 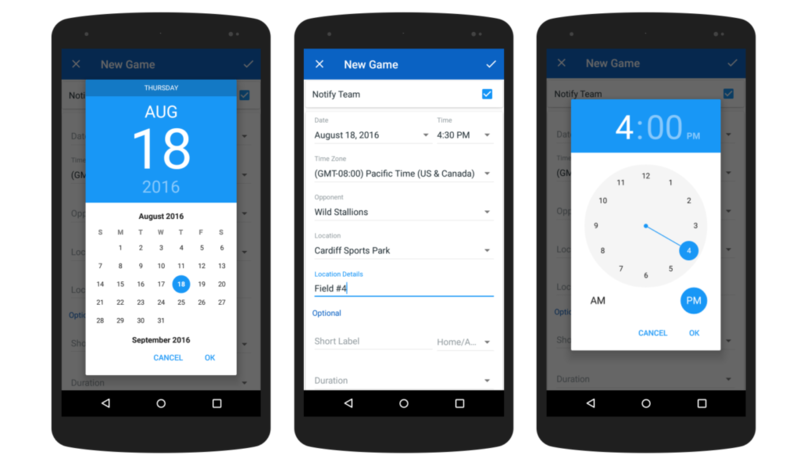 The new TeamSnap Android app is now available in the Play Store. Rebuilt from scratch, we took the liberty of adding some major horsepower under the hood. The new app shrinks data usage, leaves a smaller memory footprint and makes smarter use of multithreading. Translation: The app is so fast, it’ll give Usain Bolt goosebumps. When life gets hectic, you don’t always have time to look beyond the very next event on the schedule. The redesigned Overview screen offers a quick glance at your latest team activity, so you can keep your players on track even when the rest of your life is off the rails. Forms are the backbone of your team’s communication. Shaving a few seconds off every time you need to enter new player info or set up a new game or practice could save you hours by the end of the season. That’s why we’ve completely redesigned forms to be more efficient and friendly. 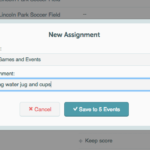 New date and time selectors make scheduling a breeze. Typography and layout enhancements bring clarity to each action, which translates to fewer errors. By using the new forms, you’re literally adding years on to your life. It’s like having an anti-aging wrinkle cream that actually works. The old navigation functioned like a Russian nesting doll of menus and lists. Though this linear structure was simple, it had some major limitations. With the new tabs, you can effortlessly hop, skip and jump to the most important areas of your team without breaking a sweat. We’ve come a long way, but we need your help to make the app the best it can be. Have a comment? A suggestion? Did the latest update cause your phone to catch fire? We’d love to hear from you. Please, drop us a line at: [email protected]. Drew Meacham is a Senior Designer at TeamSnap. In his spare time, he enjoys exploring live action Escape Rooms. His favorite ballpark food is the Carne Asada Dog at Petco Park.